Dream Sea Chalet welcomes you to stay in a vacation home full of peace and tranquility in a forest setting that is only four blocks from beach access. 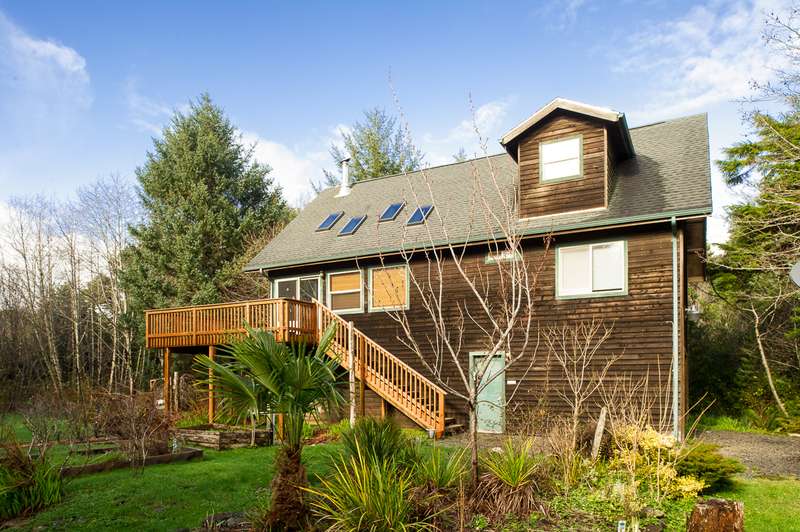 This home is located on the east side of Hwy 101; five miles south of Waldport and two miles north of Yachats. Nestled in a wooded setting, you can enjoy watching the deer graze, hearing the sounds of the birds, and be rocked to sleep by the not so distant sound of the waves hitting the shoreline. 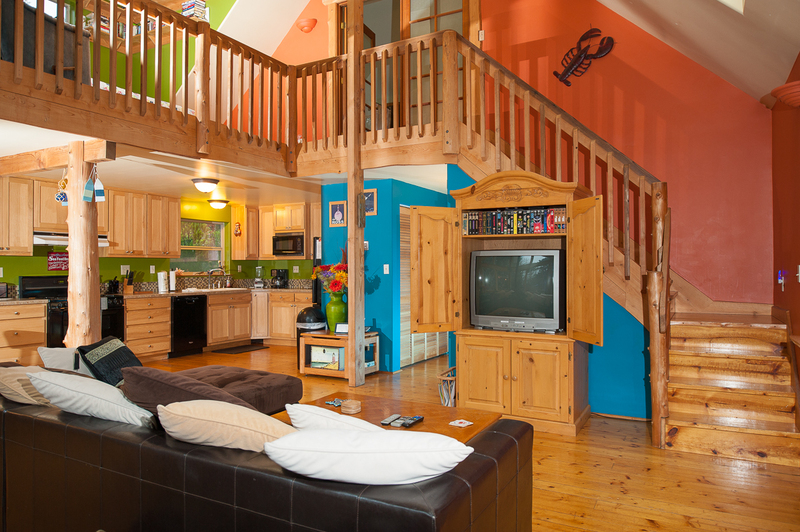 This vacation home sports custom wood work and cheerful colors, with three bedrooms and two and a half baths to accommodate up to eight people. Enter the home from the second level deck and the great room immediately makes you feel at home with an open ceiling and high glass windows that reach towards the big blue sky. 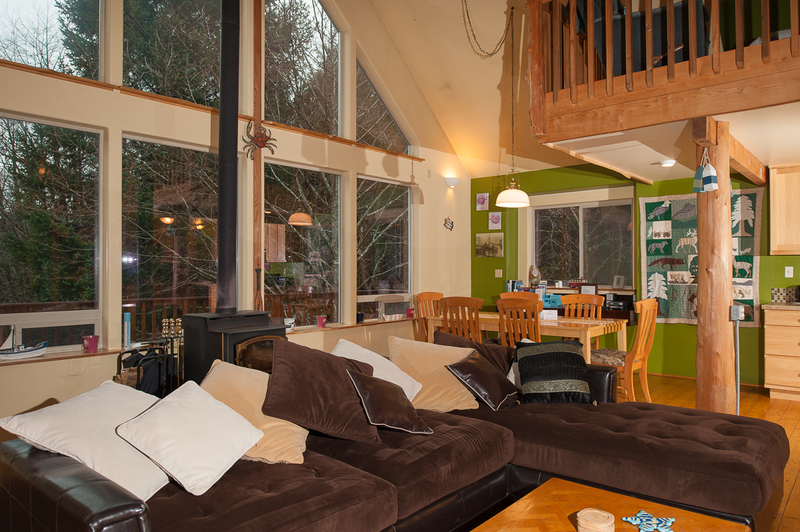 Dream Sea Chalet has a wood burning fireplace, cable TV, a DVD player with a selection of movies and Wi-Fi so that you and your family can feel at home while on vacation. On this floor, you can find two bedrooms and a full bath. 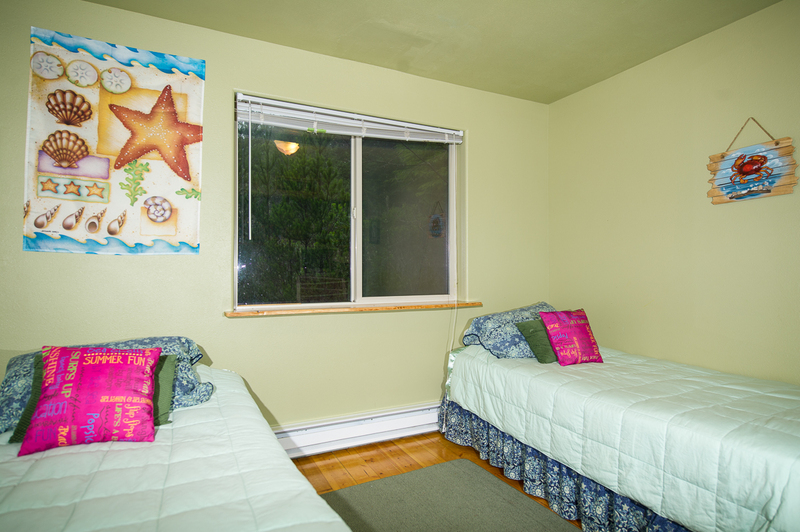 One bedroom has a queen bed while the other room has two twin beds for the kids. 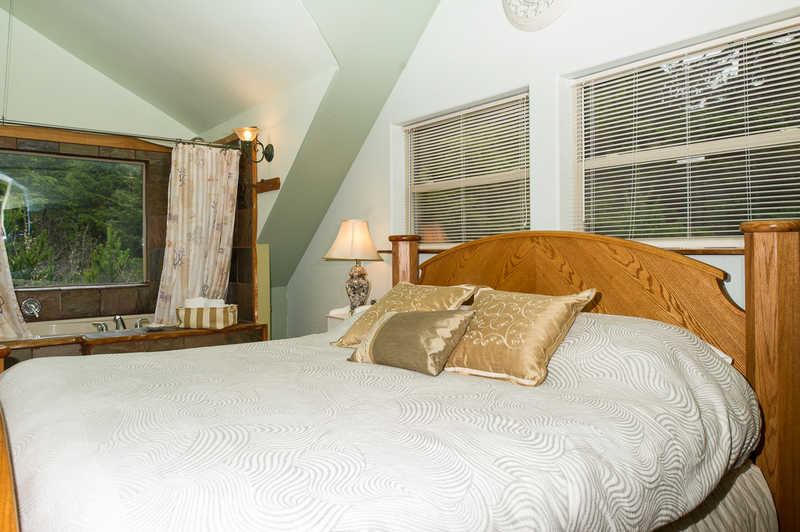 Upstairs in the loft is another queen bed. 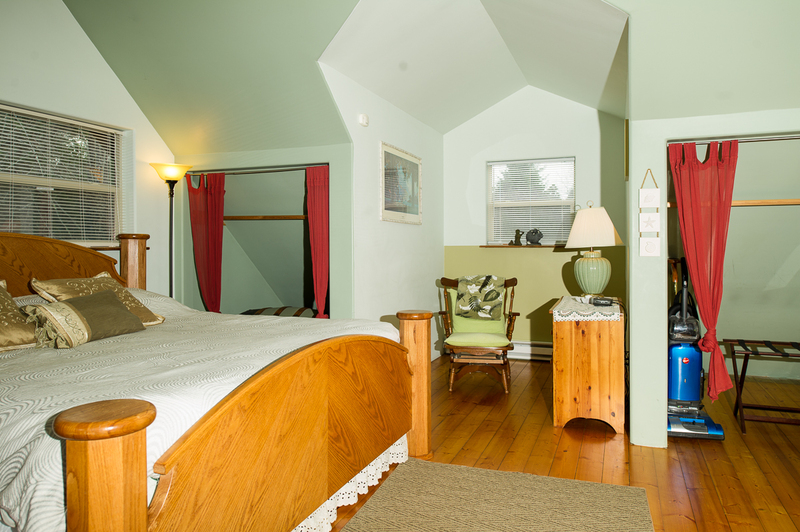 Just off of the loft through the French doors is the master suite, complete with a king bed. This is an open room with light streaming in from all directions. 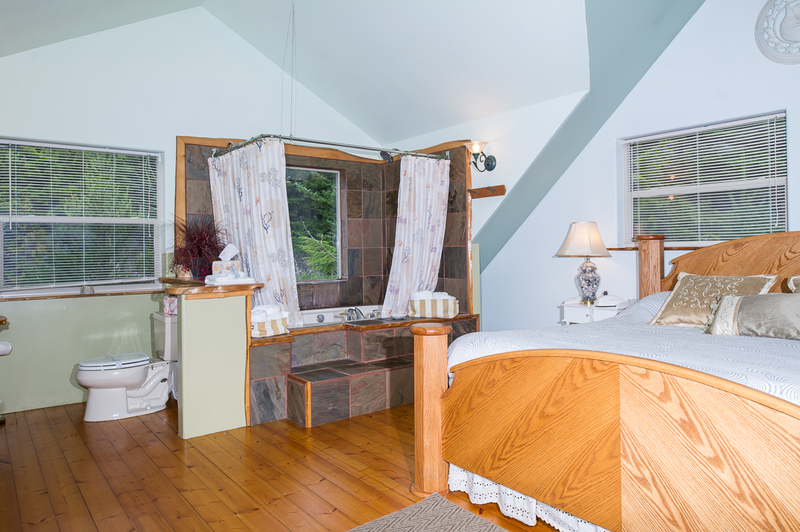 The master suite offers a garden tub and a shower for you to relax in while gazing out at the stars. 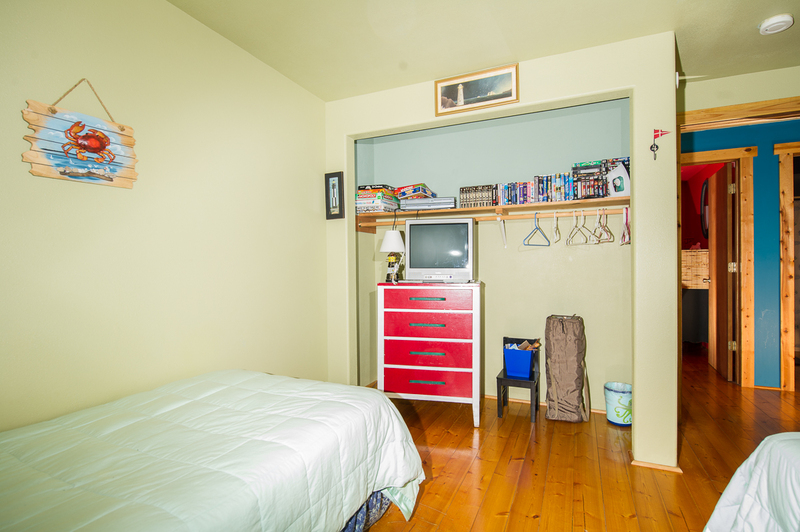 The game room is located outside and through the side garage door behind a hanging door to your immediate left. 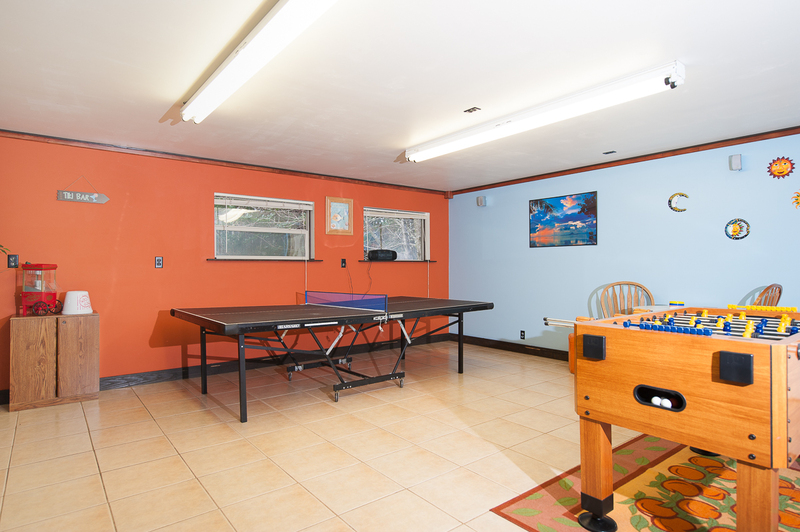 The game room is furnished with a pool table, ping pong table, foosball table and games to keep you and your party entertained. There is also a half bath in the garage behind the hanging beads. Bring your family or friend gathering of eight or less people down to the Oregon coast today and show them the beauty of the Oregon coast in style and luxury! Parking is available for up to three vehicles at this home. Please note: boats, trailers, and RVs are unfortunately not permitted here & the BBQ is for seasonal use only, available during the Summer months. 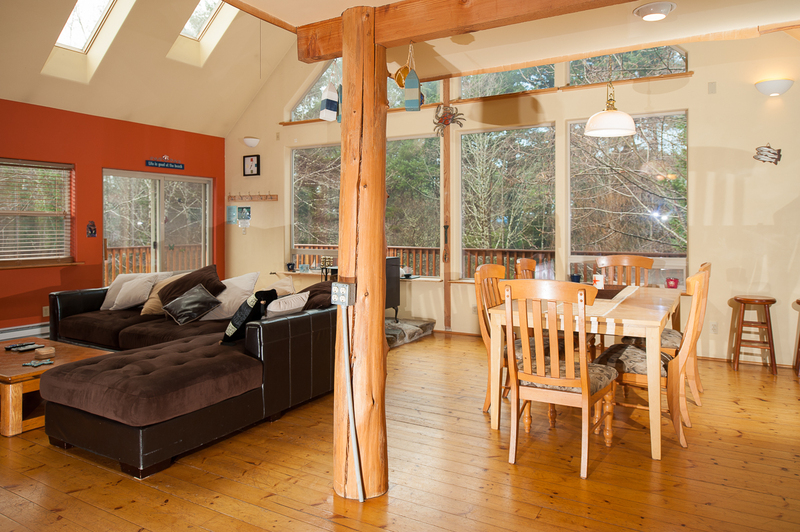 This home allows you to bring up to two dogs while vacationing here. Please do not leave dogs unattended at any time in or on the property. Beach Access: Go East from the home down Idaho St to the dead end there is access there. "The house is wonderfully appointed and close to the beach. My family loved our visit!" 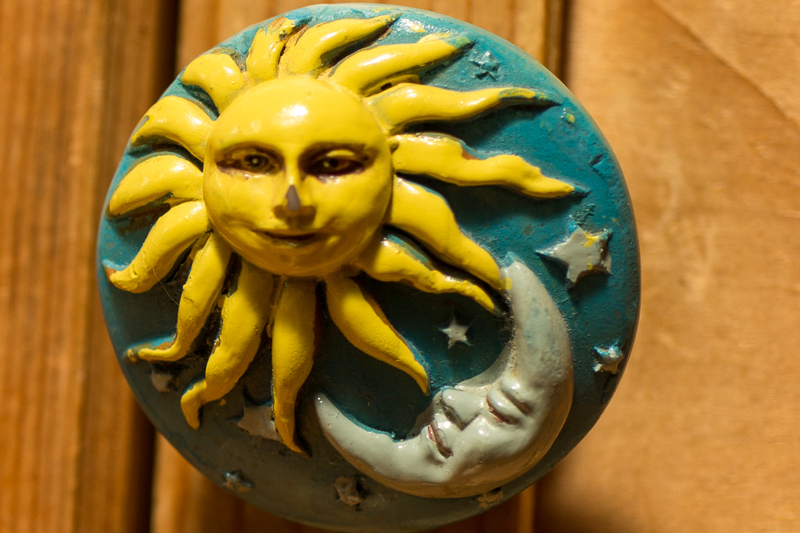 "Tami, thank you for your review of your recent visit to Dream Sea Chalet. We are pleased to hear you enjoyed your visit and found the home to be 'well appointed'. Hope you made memories during your visit which will last a lifetime and can be shared with friends and family alike. Again, thank you Tami and we would enjoy hearing from you to assist in the planning of your next coastal getaway! " "We had a wonderful stay! The home was very clean with all the basic necessities one would need.I wish we could have checked in earlier as the day escapes you with a 4:00 check in." "Hello Rose, Thank you for your review. We are glad to hear that you enjoyed your stay at Dream Sea Chalet! We are sorry that you were not able to check in earlier. Unfortunately, in the summer we often have homes with back to back stays. This means that the prior guest checks out at 11 and then the home needs to be cleaned within a five hour time frame for the next stay. Feel free to book your stay during the winter months, where you are more likely to be able to have an early check in! Thank you again for your review, and we hope to have you stay with us again soon!" 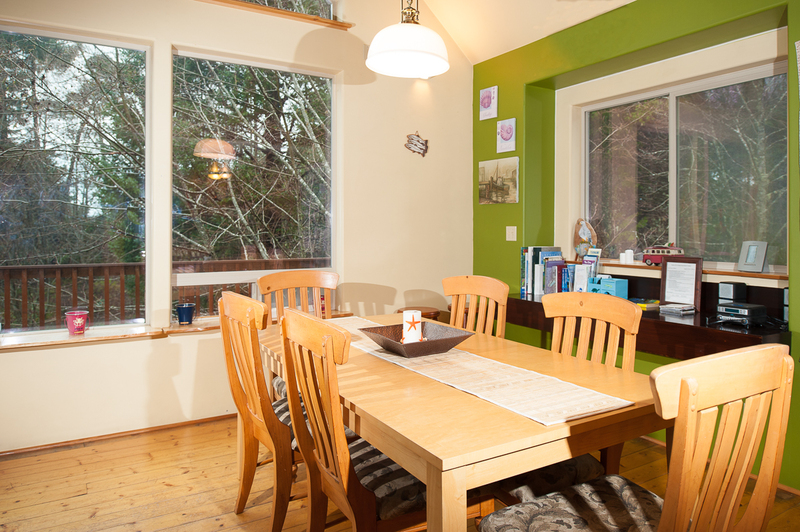 "Delightful home, and a comfortable stay for 8 of us." "Hello Kenneth, Thank you for your review. We are glad to hear that you enjoyed your stay at Dream Sea Chalet. We hope this means that you'll be back again in the future for another comfortable stay!" "My family has stayed at this awesome home for several years every summer. 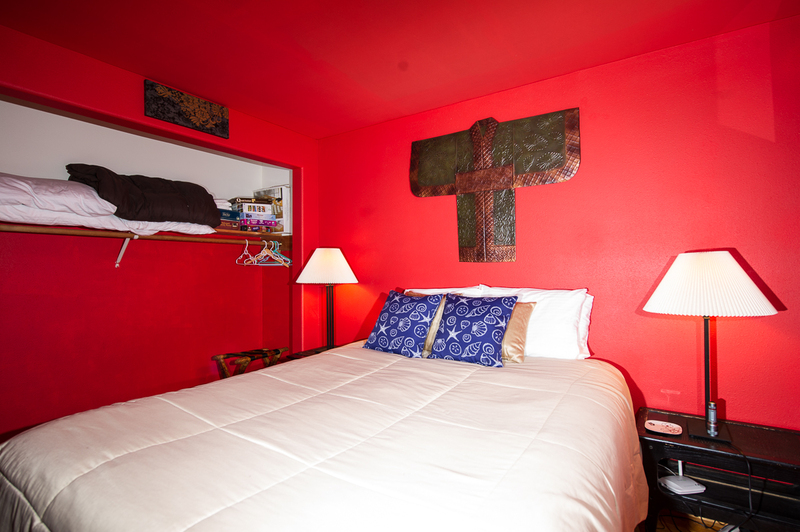 It is tastefully decorated and has all the amenities you need to be comfortable. It has games downstairs and a huge deck to sit on and enjoy the sunshine. " "We very much enjoyed ourself! There was Room for us with our grown up kids and their spouses. Lots of Room for boardgames and just hanging out altogether and lots of different places to separate and go hang out in in groups. Very close, walking distance to the beach. Excellent!" "Hello Erain, Thank you for your review. We are glad to see that you enjoyed your stay at Dream Sea Chalet. It sounds like you and your family were able to enjoy a good Fourth of July with one another here! 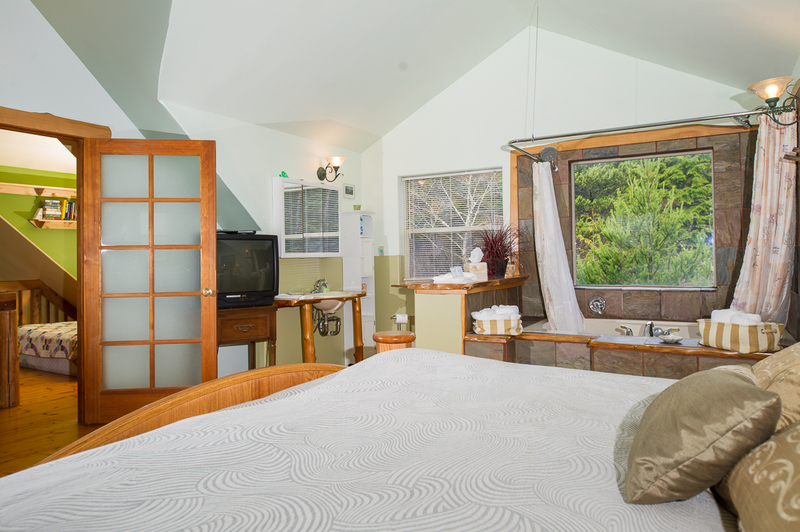 We hope to have you all stay with us again soon on the Oregon coast for another great getaway!" "My family and I spent Memorial Day weekend here. The house is beautiful in a very convenient location. You cannot see the ocean, but the trees around the house are beautiful. It is relaxing and serene. The house comfortably sleeps 8 and the master suite is awesome. Our kids loved the basement game room. It's right off 101, so travel north and south along the coast line easy! Our favorite place was the Seal Rock Tide pools. We will probably vacation back here again! " "Kaitlyn, thank you for taking the time to send in your review for your recent stay at Dream Sea Chalet. We are pleased to hear you enjoyed this property and it's beautiful location. Hope memories were made that will last a lifetime for you and your family. For your next visit to the beautiful Oregon Coast Oregon Beach Vacations hopes to hear from you to assist in finding that special location, possibly Dream Sea Chalet once again! " 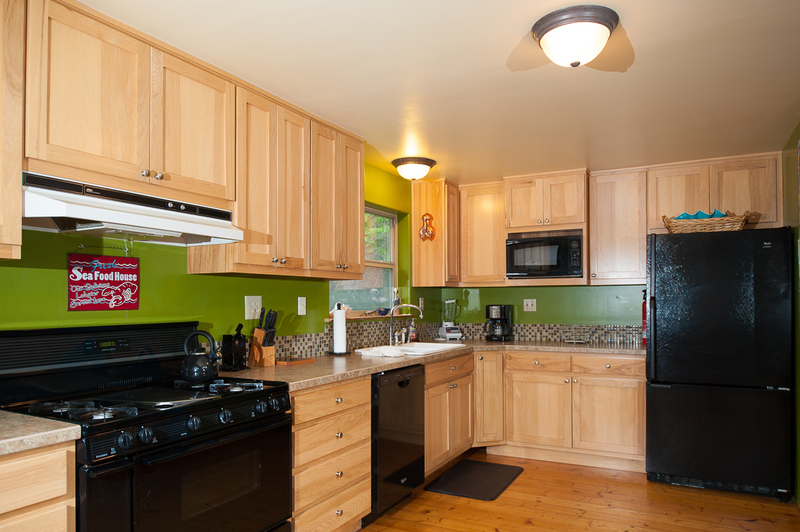 "This house had everything we needed for a comfortable stay and close to ever where we wanted to go. The game room was great for the kids because we had a couple of days of rain. We would definitely say again." "Hello Evelyn, Thank you for your review. We are glad to see that you enjoyed your stay at Dream Sea Chalet! 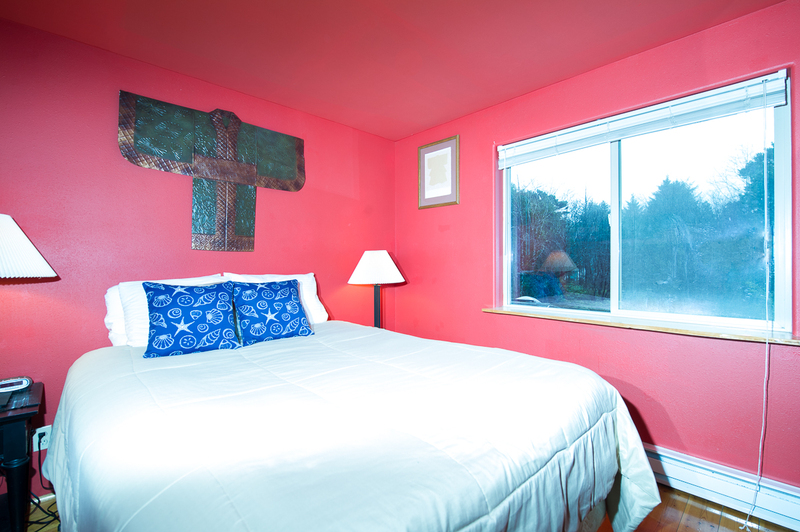 We hope to have you stay with us again soon on the Oregon coast." "Was Very pleased with the house we rented. It was very spacious and had everything we could ever need. My kids loved the game room and enjoyed the board games and movies in the house. The spa bath in the master suite is excellent. We had a little issue with the hot water heater but as soon as I notified the property company they sent someone out to fix it.Wonderful stay we will be coming back sooner then later.4"
"Hello Skye, Thank you for your review. We are glad to see that you enjoyed your stay at Dream Sea Chalet! We are sorry to hear that you had a little trouble with the water heater, but we are glad to know that someone from our office was able to come out quickly to fix it! Thank you again for your review, and we can't wait to have you and your family back again soon for another fun trip to the Oregon coast." "It was just my husband and I in this big, beautiful home that could very comfortably sleep 6 more! It was amongst the pines and a short walk to a sandy beach. Would run into few people, chat a bit and continue! 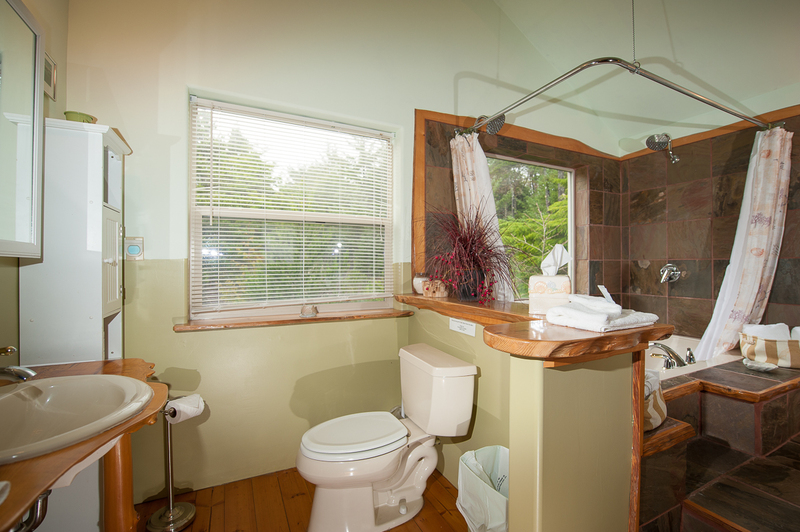 Yachats is a quaint little town with wonderful people, nice restaurants and beautiful views in every direction!" "Hello Debra, Thank you for your review. We are glad to hear that you enjoyed your stay at Dream Sea Chalet. 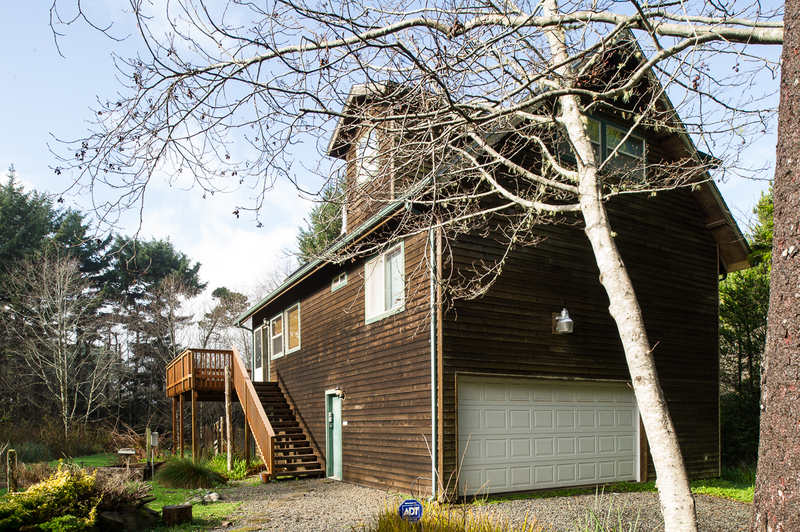 It sounds like you and your husband had an incredible time exploring Yachats and getting to know the area. The people are very friendly on the coastline. 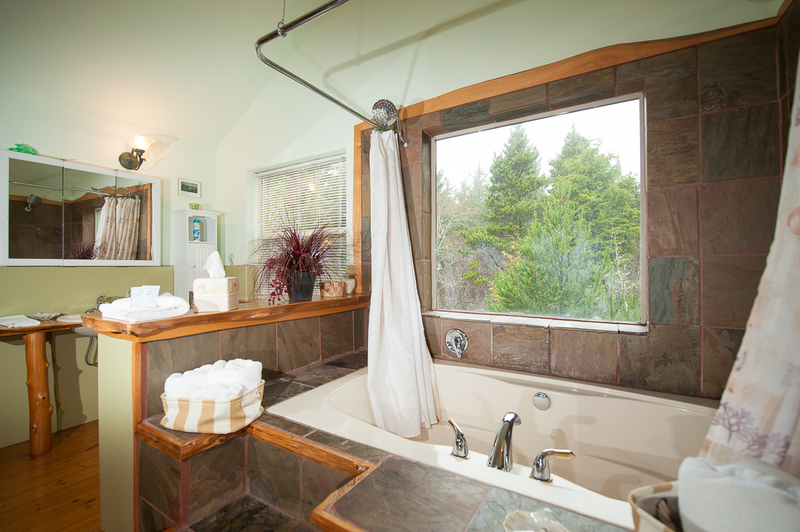 We hope this means that you'll be coming back for another relaxing stay on the Oregon coast!" "This house accomodates a group well. 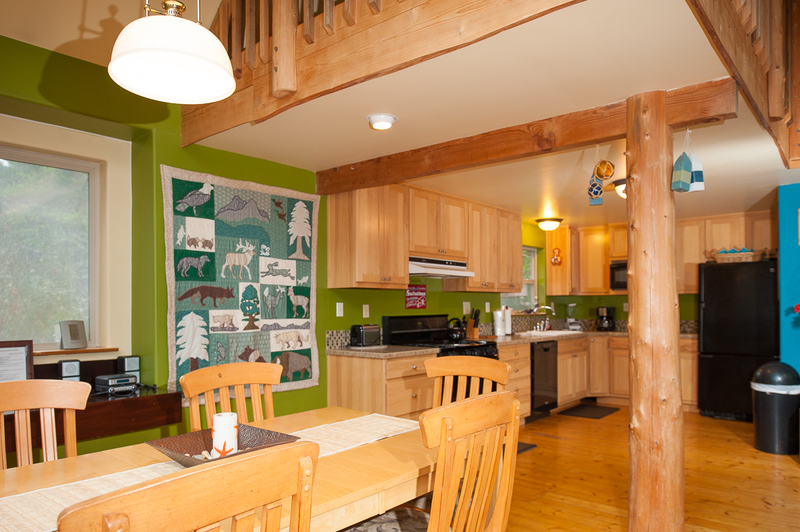 Great spacious open kitchen/ eating/ living area allows for everyone to help out and hang out! Lots of sleeping options, all ages. Fun game room where we had ping pong and foosball tournies! Easy walk to a large stretch of beach. Wonderful deck for sunning, if your lucky. Tucked away, across 101, so outa the cold wind! " "Jane, Thank you for your review of your visit to Dream Sea Chalet. We are pleased to hear you and your guests enjoyed this lovely property. Sounds like memories were made with your ping pong & foosball tournies! We hope to hear back from you to assist in your next coastal getaway. Once again, thank you for your booking and your review~"
"This house is gloriously secluded, surrounded by trees and beautiful. I spent mornings reading on the deck with my coffee,listening to the sound of the ocean while enjoying the privacy. The house itself is comfortable. My daughter enjoyed the games and we watched movies snuggled on the comfy living room couch. I remember a previous customer complained about the lack of cell service but that was a PLUS for us!! Internet worked just fine for those social needs we chose to acknowledge. The only negative for me was that I have a bad back and found the master bed very uncomfortable.....but I soaked in the glorious tub to fix it! I highly recommend this house to anyone looking for tranquility at night after full days of busy people-filled beach life.The house did not smell of pets, was clean and had all expected amenities. " "Hello Kimberly, Thank you for your review. We are glad to see that you and your daughter had a wonderful and relaxing time at Dream Sea Chalet! 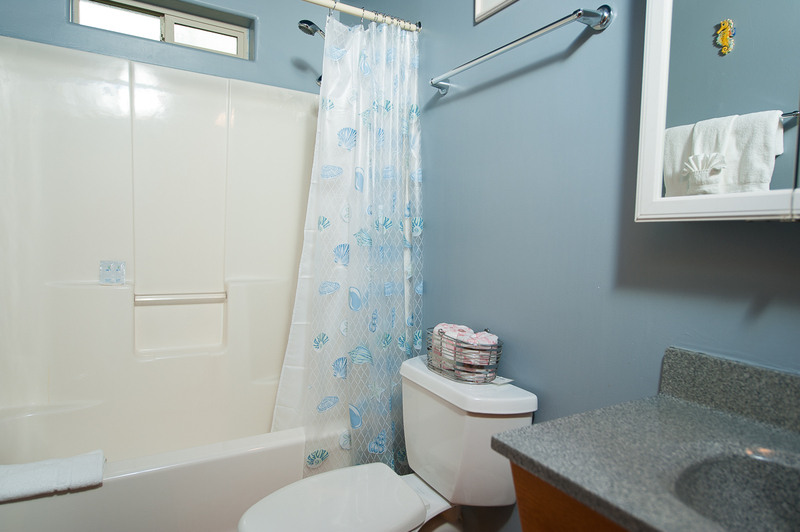 We are also glad to know that the home was clean and provided you with all the amenities you needed for your stay. We are sorry to hear that the master bed wasn't the most comfortable for you though. We can let the owner know about this. Thank you for bringing it to our attention. Thank you again for your review, and we hope to have you and your daughter back agin on the Oregon coast for another wonderful vacation!" "We just loved this house. Close to the beach? Quiet and homey "
"Hello Lisa, Thank you for your review. We are glad to see that you enjoyed your stay at Dream Sea Chalet. We hope this means we'll be seeing you back again soon on the Oregon coast." "Perfect sized home for 6 to 7. Would be best for younger children. Located a bit remote between Yachats and Waldport. Very private, I would recommend if you don't want to see neighbors. Loved the gas stove, cookware was pretty rough. Nice selection of games and movies. Land line would not complete calls, no cell service, fortunately had Wi-Fi so could make Wi-Fi calls of you have that service. Wi-Fi slow but adequate. Be aware must be able to use stairs to access the home." "Thank you Anna for taking time to send in your review. We do appreciate hearing from our guest and take the reviews to heart. This home is definitely in a remote area so if you enjoy that type of atmosphere/area this is the home for you to enjoy the quietness escape from the hustle bustle of everyday life. We do hope that you enjoyed the visit and made memories to be shared for years to come. Once again, Anna thank you and when you are ready to visit the beautiful Oregon Coast we at Oregon Beach Vacations look forward to hearing from you to assist in finding a perfect getaway to enjoy. " "Two blocks of the coast, nestled in the woods, except for a couple of issues it was a marvelous stay. I missed that there was no ground floor bedrooms and there are a lot of stairs between floors. This is not a good place for the mobility challenged. The cookware seemed to be comprised of thrift store rejects. 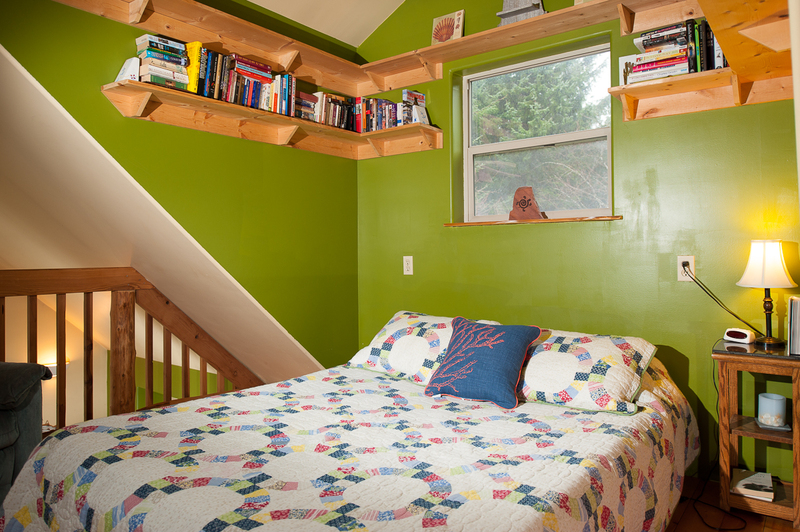 The property was clean and well maintained with many books and games for those foggy coast days. " "Hello Dan, Thank you for your review. We are glad to hear that you enjoyed your overall stay at Dream Sea Chalet. We are sorry that this house wasn't the best for everyone in your party. If you ever need help booking the perfect property for your needs, please give us a call at our office so that we can find the perfect house for you. We hope to have you stay with us again in the future. Thank you again for your review." "Hello Patricia, Thank you for your review. We are very happy to see that you and your grandkids had a wonderful trip to Dream Sea Chalet! We hope to have you stay with us again in the near future!" "Spent a lot of time cleaning"
"Hello Jane, Thank you for your review. We are sorry to hear that you did not have a great stay at Dream Sea Chalet. 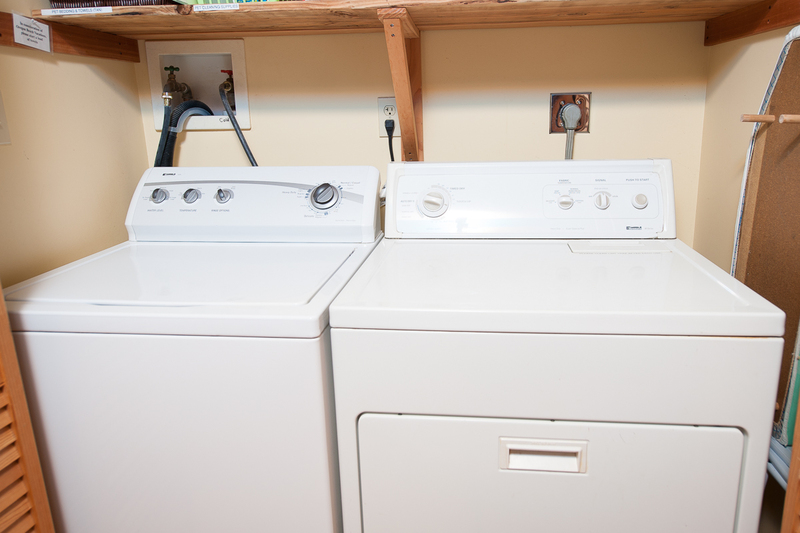 We would have gladly sent housekeeping out to the home to clean this unit again for you. You should not have had to clean the unit yourself. We are sorry for this. Thank you again for your review, and we hope to have you stay with us again soon in the near future."